Step back in time and explore the Wild West, enjoy the arts, culture and heritage of Colorado Springs and the many technological innovations in mining, agriculture and industry by visiting the museums of the Pikes Peak Region. The Fine Arts Center, established in 1936, is home to world-class art galleries, Broadway-worthy live theatre, and an art school for all ages. Experience the art of gourmet at Taste with amazing patio views of Pikes Peak and browse the local art. The Pioneers Museum is located downtown in the beautifully restored 1903 El Paso County Courthouse. 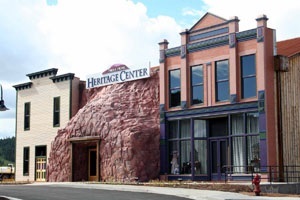 The museum preserves the history and culture of the Pikes Peak region, and features permanent exhibits on the history of the area and changing exhibits on topics of broad interest. Also, a nationally significant collections of quilts, art pottery and the finest regional landscape art collection in Colorado. 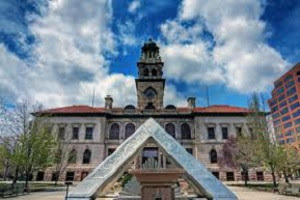 Other collections relate to Native American influences in the region, the founding of the City, the area's mining and agricultural history, its early prominence as a health resort, and its more recent significance as a center for military training and operations. The Cripple Creek Visitors Center a 11,600 square foot facility with hands-on exhibits improved by audio and video techniques. Immerse yourself in the old days of the World's Best Gold camp. The Ghost Town Museum As a true preservation of Colorado’s western past, the Ghost Town Museum is a fun and historic look back at an old west town during the late 19th and early 20th Centuries. Lots of hands-on activities for all ages. The Manitou Springs Heritage Center the Incline Exhibit relates the story of how the installation of a pipeline for a hydro-electric plant became a famous tourist amusement for 81 years and then was reincarnated into an even more famous location for people seeking an extreme physical challenge. 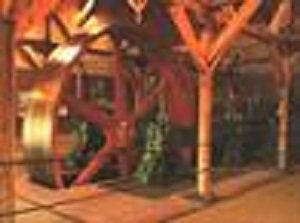 The Western Museum of Mining and Industry preserves and interprets the rich mining history of Colorado and the American West. A collection of over 4,000 artifacts is on display at the 27-acre indoor/outdoor exhibit site, including: a ten-stamp ore mill, a multi-purpose center with exhibits, a theater and a 5,000-volume research library. An exciting and exceptional tool for learning about Colorado history, mining and industrial technology, geology, and the environment. Rock Ledge Ranch The history of the West comes to life at Rock Ledge Ranch Historic Site. You are invited to explore lifestyles and homes of the Pikes Peak Region's early inhabitants. Knowledgeable interpreters will assist you on your journey through one of America’s premier historic sites. The Rocky Mountain Motorcycle Museum for nearly two decades, the museum has been actively involved in the Colorado community and the preservation of classic and antique motorcycles and their history from around the world with a focus not only on the mechanical works of art we call motorcycles, but also on the people that have been such a huge part of the history. The names and faces of the pioneers of motorcycling and their contributions are captured in photographs and biographies throughout the museum. The display of this memorabilia ensures that everyone has the opportunity to enjoy the history of early American two-wheeled ingenuity and preserve its legacy. The Pikes Peak Historical Street Railway Foundation Colorado Springs’ first streetcar service was powered by horses. Initiated in 1887, the Colorado Springs & Manitou Street Railway Company line ran from Colorado College to the Central Business District. By 1888, a second line to the west was completed from the Santa Fe depot to 8th Street, and by 1889, the line along Tejon was extended north to Fontanero. At its peak, a total of 10 horse-drawn trolley cars operated in the city. In 1890, the Colorado Springs Rapid Transit Railway began the process of replacing the horse car lines with electric power, a system that numbered 44 electric cars by 1900; at its peak, the system covered 41 miles. 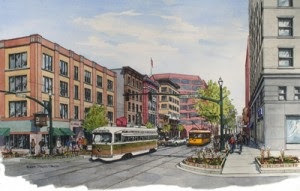 In 1931, buses began replacing streetcars. Streetcar service ended shortly thereafter. The Peterson Air and Space Museum was contained in one small building—the original airport passenger terminal for the City of Colorado Springs and now listed on the National Register of Historic Places. That same year, Colorado designated those buildings as a state historic district. 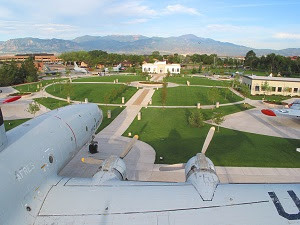 Today, the museum is located right in the center of that 8.3 acre historic district on Peterson Air Force Base. The original Passenger Terminal, City Hangar and Broad- moor Hangar all have exhibits inside and anchor the award winning airpark.